Swindon is rated 4.2 out of 5 by 16. Are you looking for a great-value gym membership that's close to home? Then you'll be pleased to hear that we've opened a brand new PureGym on the Mannington Retail Park in West Swindon. No matter how you like to get active you'll discover everything you need at PureGym, plus our contract-free memberships are completely hassle-free and you can also park for FREE when coming in to train. 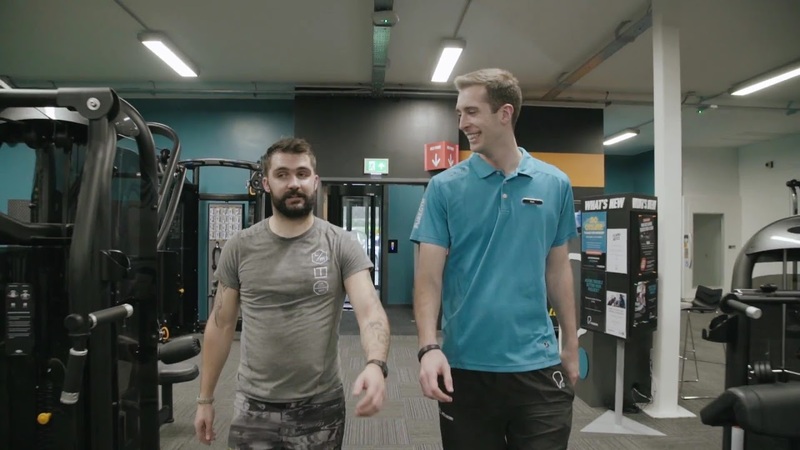 Read on to discover just some of the reasons why PureGym Swindon is the perfect gym for you. Members have access to a huge range of the best performance gym kit and exercise machines on the market, including cardio, fixed resistance and free weights. Our packed timetable of fun fitness classes was designed to help you get the most from your time in the gym - all of which you can pre-book online in seconds. We're not just here for you in the gym. You can get fitness, health and nutrition tips and advice 24/7 on our blog. Don't forget to check out the free workout videos and inspirational member stories. Here’s a quick reminder of what you’ll get at PureGym: state of the art kit, free classes, no contract, free parking and much more. We’d love for you to join us so why not visit our joining page today? We're located on the Mannington Retail Park in West Swindon. You'll find us between John Lewis at Home and Mamas & Papas. If you are travelling by car, members can park for free for up to three hours in the on-site car park. A number of local bus services will drop you off nearby along Wootton Bassett Road (A3102). This includes bus numbers 1, 1A, 10, 25, 31, 31A, 53, 54, 55 gold, 60 and 154. The closest train station to us is Swindon Station which is just under two miles away. We look forward to seeing you in the gym. Rated 5 out of 5 by RJRM from Amazing staff in the gym AGM Luke is very helpful with services with the gym, and any problems I have! Rated 4 out of 5 by Purplepretzel from Great gym but stop changing the class schedule. Really enjoy the gym and classes but just as you get into a class a change is made. Burn it on a Wednesday is now being dropped in favour of another cycle class - why - Burn it is a full class of at least 15 people and now we have to battle to get into another spin class of 8 bikes. I appreciate the timetable changes but can't work out the logic of this. Rated 3 out of 5 by Donna87 from Great equipment but lack of space When I first joined this gym I loved it as the equipment is great. However there are more and more members meaning some days I can’t get on any equipment. As the classes are in the main gym area, some days there is literally no where to go to stretch or do free weights. They need to look at the layout to utilise the space. Perhaps move the free weights in the upstairs mat area to closer to the door so those not in the class can use them when a class is on and put more mats down in dead space such as behind the class area upstairs, as I couldn’t cool down last night as no free space. 2 classes on and a personal trainer using the tiny free mat space left. It made me consider changing gyms. Rated 4 out of 5 by GT123 from Good quality gym I joined the gym about a month ago due to the cost, 24 hour opening and it’s a convient distance from my house. The gym is well equipted with a wider variety of machines and weights and is always clean and tidy. They offer lots of classes although these tend to get booked up pretty quick so you’d ideally need to be an extra member to book in early enough for the popular ones. Only other down side is the gym gets very busy at peak times so I’d advise training either early in the morning and lunch time at weekends. Rated 5 out of 5 by JustMe2 from Location desirable, a very good gym and cost wise I’ve joined the gym, firstly for the reason of location, the costs, the flexibility of the membership, the cleanliness and the equipments. I admit, I am quite a hygiene freak lol. Honestly, it’s a very good gym, a very clean one too but the only thing they lack is the facility for the gym users to clean after they used the equipments as sweat is one of bodily fluids that can cause viruses etc., therefore it is important that any gym should take precautions. They do have hand sanitizers which really helps, and quite grateful that they have them. I don’t do classes so I can’t really say much about it. The PT’s are great people and overall a very good gym which suits me well. Rated 4 out of 5 by Will Buckingham from Great gym Great gym, very tidy and well organised. This gym quite a lot smaller than the gym I trained at before, and hasn’t got as much equipment, but it’s perfect for the type of training I’m wanting to do, and it’s quieter than my old gym so equipment is most of the time available.